Jorge Manes Rubio is a Spanish artist, living and working in Amsterdam, Netherlands. 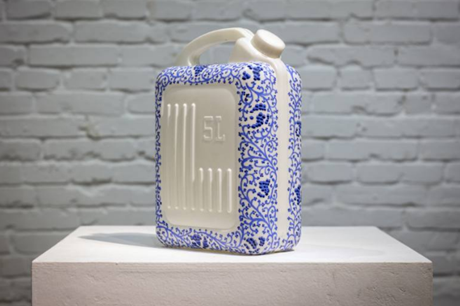 This sculpture is titled “Fengdu Jerry Can #1” and is from Jorge’s “Normal Pool Level” series. You can view more of Jorge’s work through Saatchi Art.